Providing multi-sport activities to Key Stage 1 & 2 pupils across South Wales. After School Clubs, School Sports Team Coaching, Evening Sports Clubs, Community Sports Clubs and Weekend Sports Clubs. PlaySports offer a PE Supply Cover service to primary schools throughout South Wales. PlaySports is a sports development organisation offering a range of services that are delivered by professionally qualified coaches. We are a not for profit organisation that works with schools and communities throughout South Wales. We aim to provide a professional, affordable and safe service to the people and schools that we partner with. Our coaches possess a range of expertise in delivering physical education and sport in order to get and keep children physically active in structured and enjoyable environments, with an emphasis on learning through play. Fully qualified in various sports. Vetted through the Disclosure & Barring Service (DBS). PlaySports offer our support at competitive prices and these services are delivered by a PlaySports member of staff, all of whom are screened through an enhanced Disclosure and Barring Services check and are fully qualified in a range of sports. Our coaches also possess essential qualifications such as first aid and child protection/safeguarding. Please Get in touch to sample what we can offer... Book in your free sport sessions as we would love to hear from you! If you would like more information or want to book a session with our team, please contact us. We specialise in providing cover to students in school years 1 to 6, making the learning objectives of our sessions fun and enjoyable for everyone involved. Structured in line with the Key Stage 1 & 2 National Curriculum, to introduce the process of learning through play, developing and applying new skills. The types of club we offer are: Lunch Time Clubs, After School Clubs, School Sports Team Coaching and Community Sports Clubs. The team's sporting knowledge is of a high standard and this has provided our pupils with a high standard of teaching and learning in P.E. The team are friendly and approachable and their manner with the children has enabled them all to build up a good relationship with the pupils. All the KS2 children look forward to Winner Wednesday! PlaySports' equipment is far more varied than the equipment we have at school and this alone enhanced the pupil's experiences and engagement in P.E. The staff are flexible and happy to include additional activities (e.g. Prep for sports day). PlaySports were able to help me out with cover at very short notice which was much appreciated. Approachable, friendly and very popular with the pupils. PlaySports have provided a very popular after school sports club and we are very happy with the service. I think the fact that we continue to utilise PlaySports year after year is testament to how successful we believe they are. We deliver at least 10 different sports per week as well as running over 30 extra-curricular activities. Since our start up, we've delivered over 250 hours of free school sport! 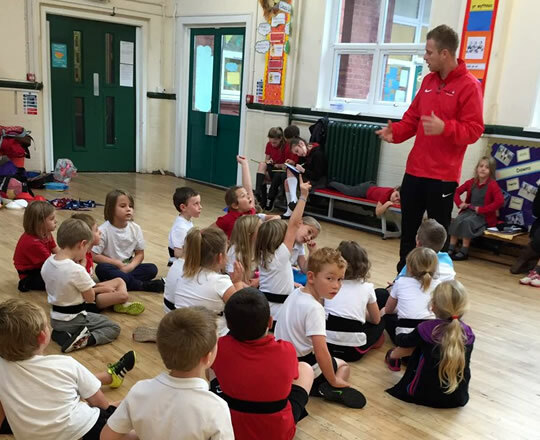 We are delivering over and above 100 hours of sport to our partner schools per week! Between September 2015 and July 2016 we delivered over 1,400 sessions to our partner schools. We are currently engaging over 3000 children from a variety of backgrounds in our school sport delivery per week. © 2016 Copyright PlaySports Ltd.